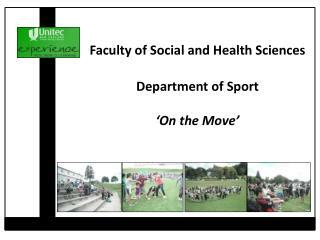 Faculty of Social and Health Sciences Department of Sport ‘On the Move’ Vision To be recognised as an education leader in sport coaching, sport management, physical education and physical activity. 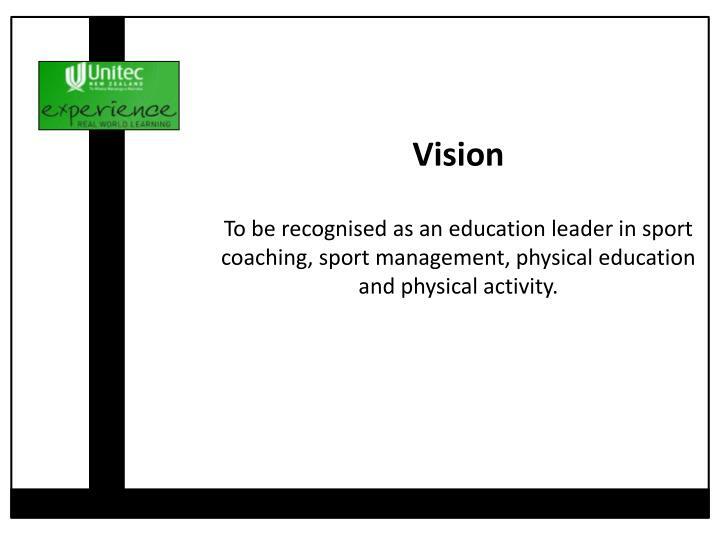 VisionTo be recognised as an education leader in sport coaching, sport management, physical education and physical activity. 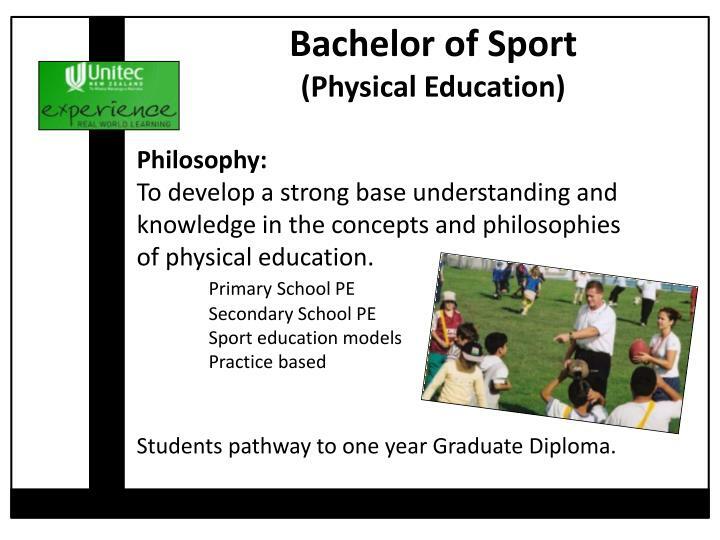 Philosophy:To develop a strong base understanding and knowledge in the concepts and philosophies of physical education.Primary School PE	Secondary School PE	Sport education models	Practice basedStudents pathway to one year Graduate Diploma. 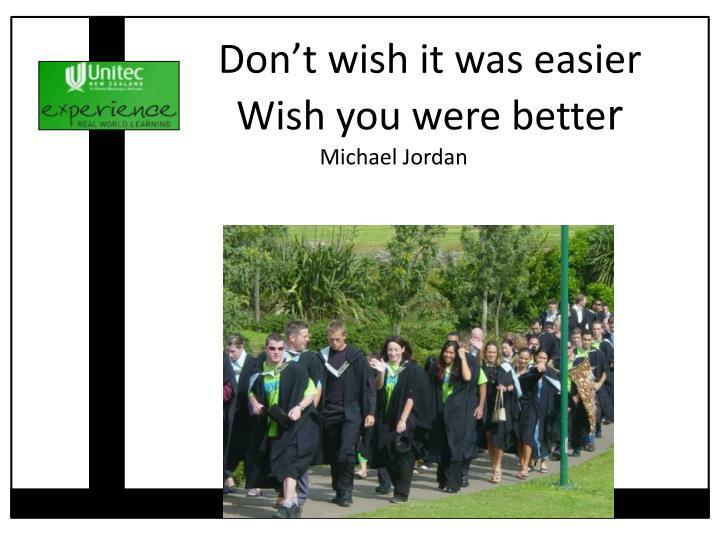 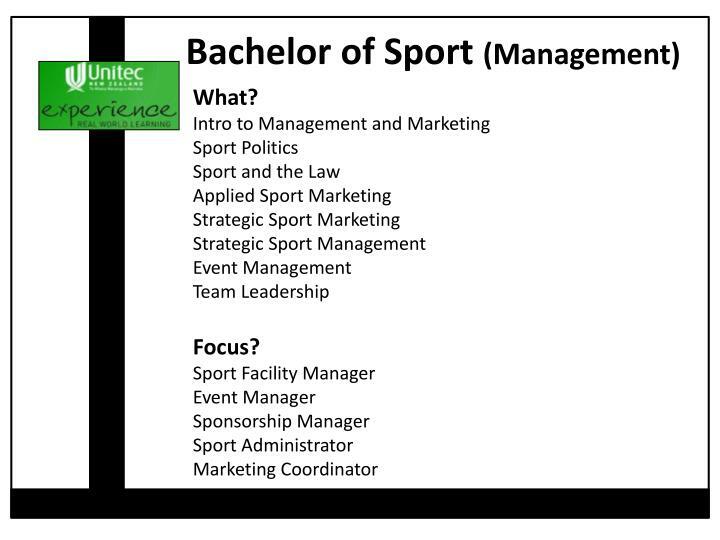 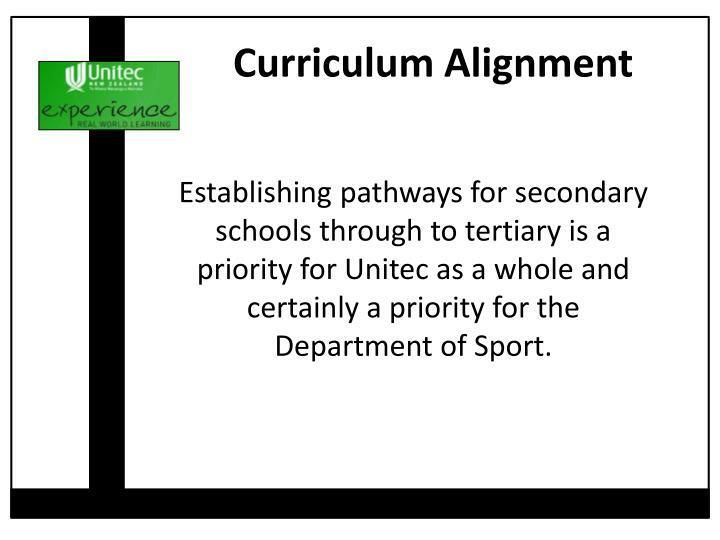 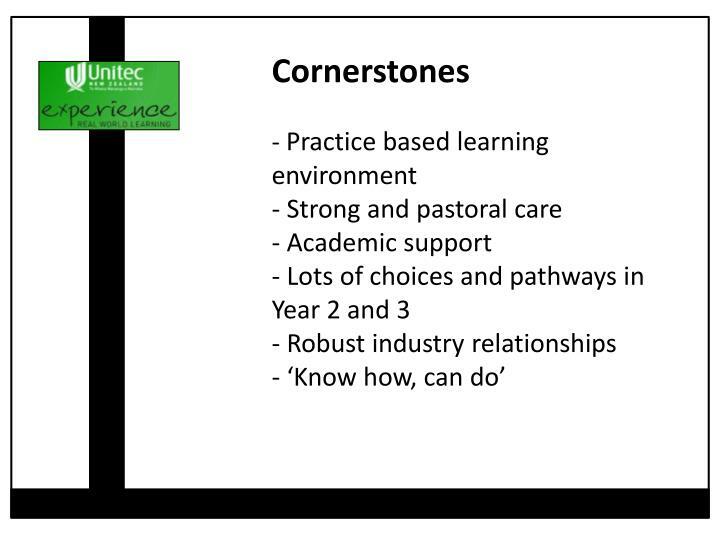 Establishing pathways for secondary schools through to tertiary is a priority for Unitec as a whole and certainly a priority for the Department of Sport. 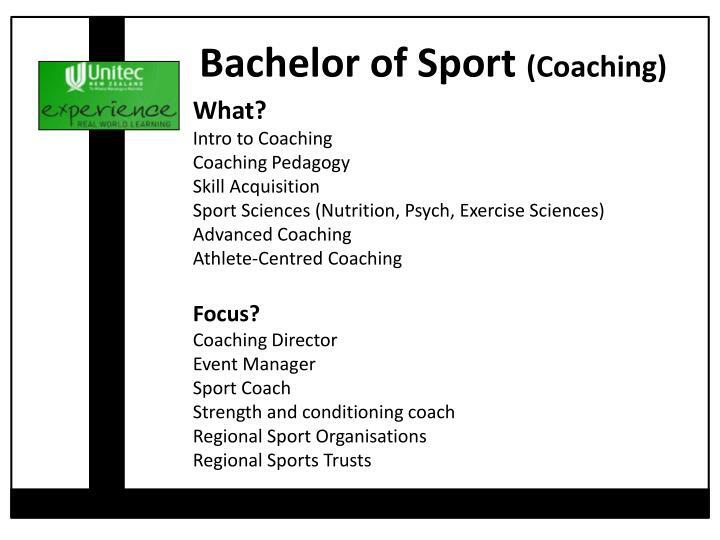 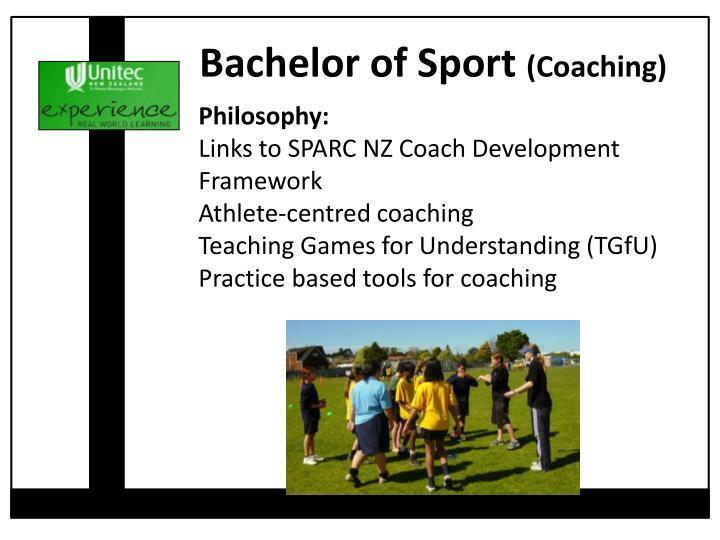 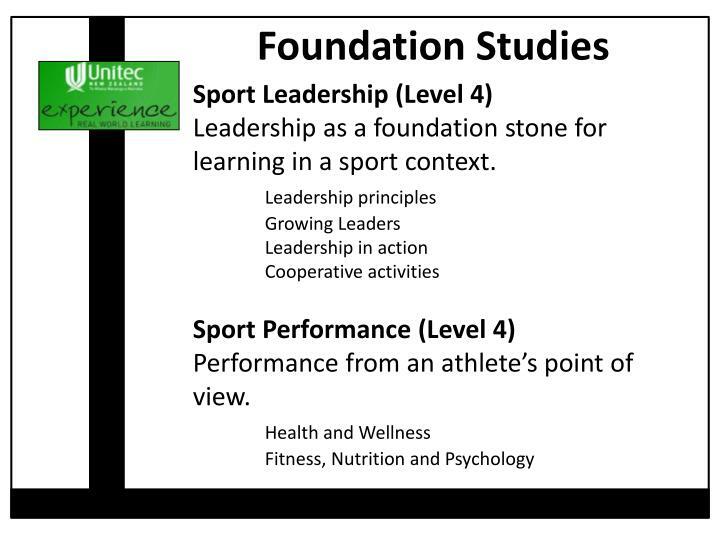 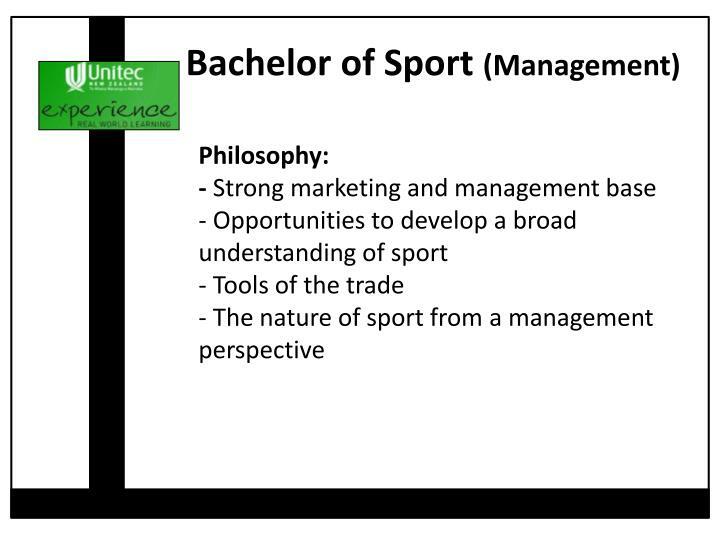 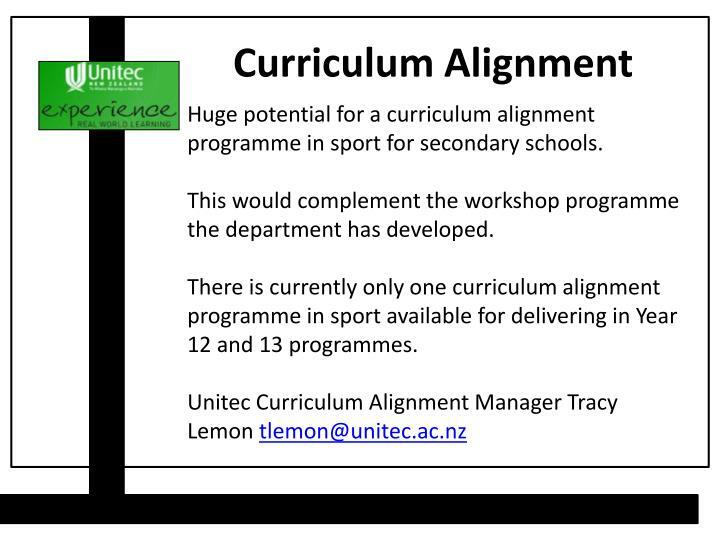 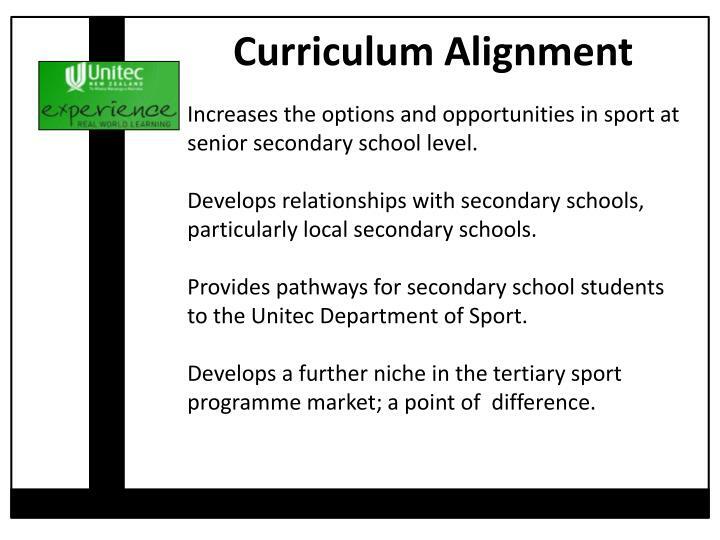 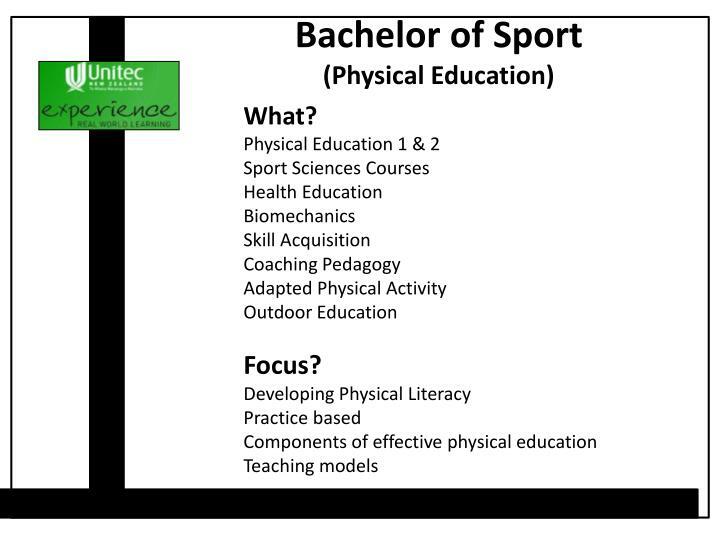 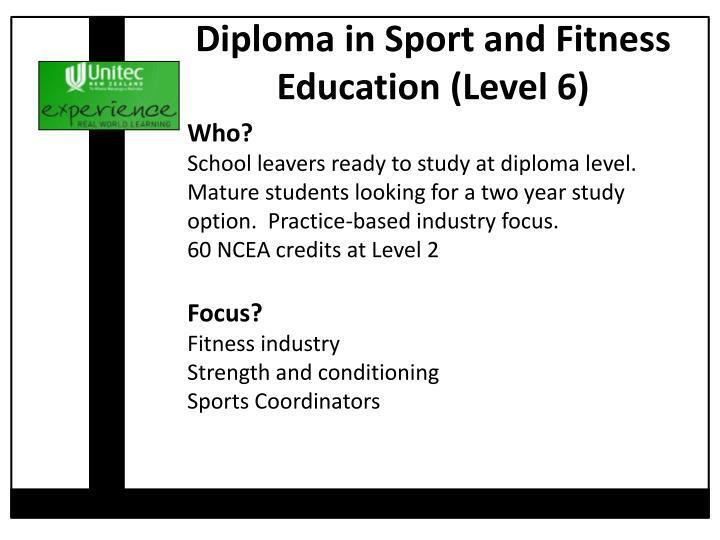 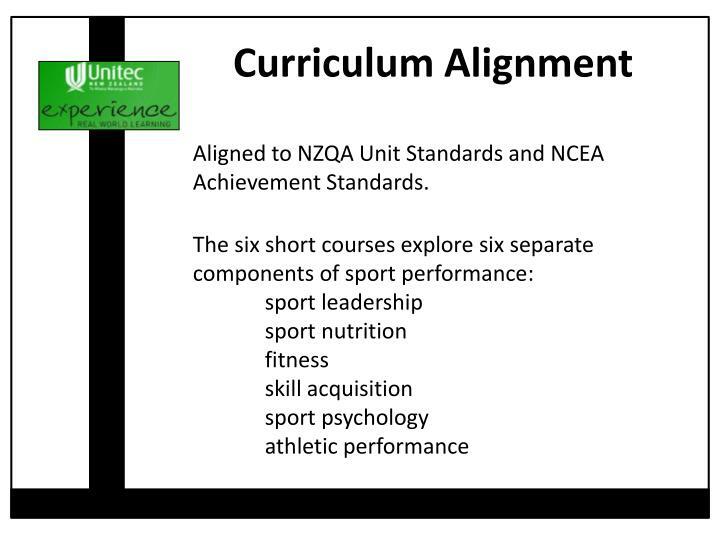 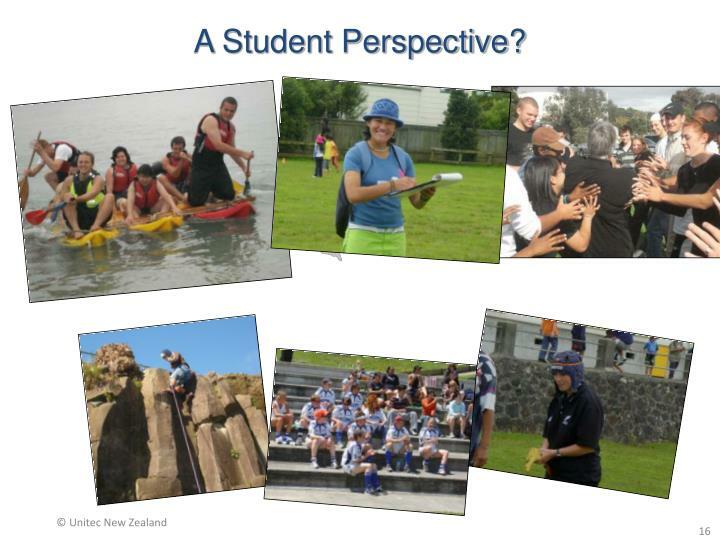 Increases the options and opportunities in sport at senior secondary school level.Develops relationships with secondary schools, particularly local secondary schools.Provides pathways for secondary school students to the Unitec Department of Sport.Develops a further niche in the tertiary sport programme market; a point of difference.